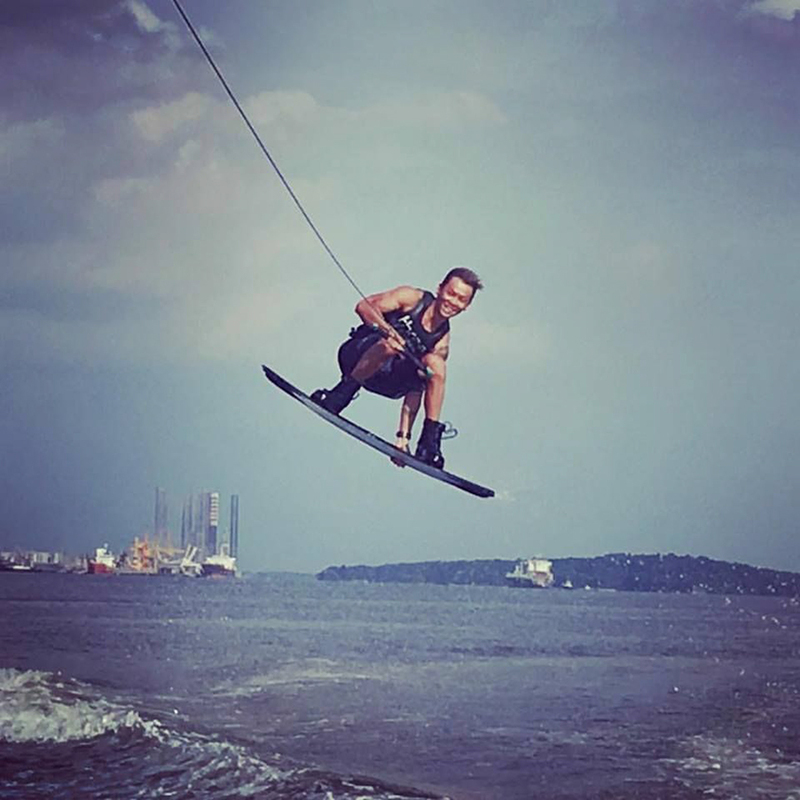 If you are a wakeboarder in Singapore, you must know who Frankie Ng is. 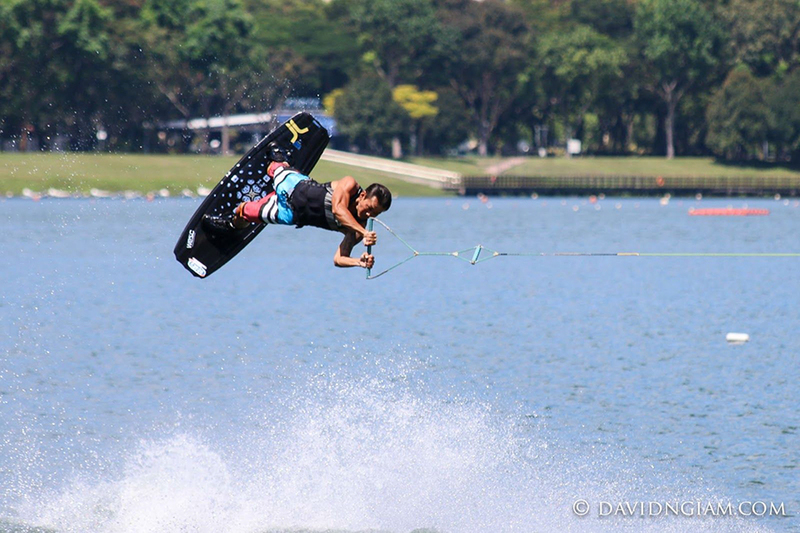 Frankie is among the ranks of legends in Singapore’s wakeboarding history. And he is competitive too. To date, he has taken part in 40 competitions. He is the only instructor who has been able to balance a successful competitive career while being an instructor. At 42 years old, he continues to put on a great show and represent his country. Frankie was selected to represent Singapore in the 2015 & 2017 SEA Games in the sport of Wakeboarding. He took part in the Mixed Team event and brought home the Silver on both occasions. He was the oldest participant in the sport, competing with athletes half his age. Frankie came from unassuming beginnings, selling fresh chickens at the market. Fierce looking, he’s actually a shy fellow with a kind heart. It was his wife who introduced wakeboarding to him in 1999. Little did he know that wakeboarding would change the course of his life forever. Through wakeboarding, Frankie’s mind became more focused and his reflexes became faster than the regular joe. After falling in love with wakeboarding, Frankie wanted to share his passion with others. In 2002, he decided to take the leap into instructing. While instructing, he continued to hone his riding skills and put them to the test in competitions. Travelling overseas for competitions, Frankie watched and learnt from other wakeboarders. The Japanese style of riding appealed to him. Being of smaller frame, they were just as powerful as the Caucasian riders. He studied how they wakeboarded and developed his own style of riding. Realising this was the path he was going to stay on for some time, Frankie decided to become a full-time wakeboarding instructor. Go Big or Go Home is what Frankie is all about. 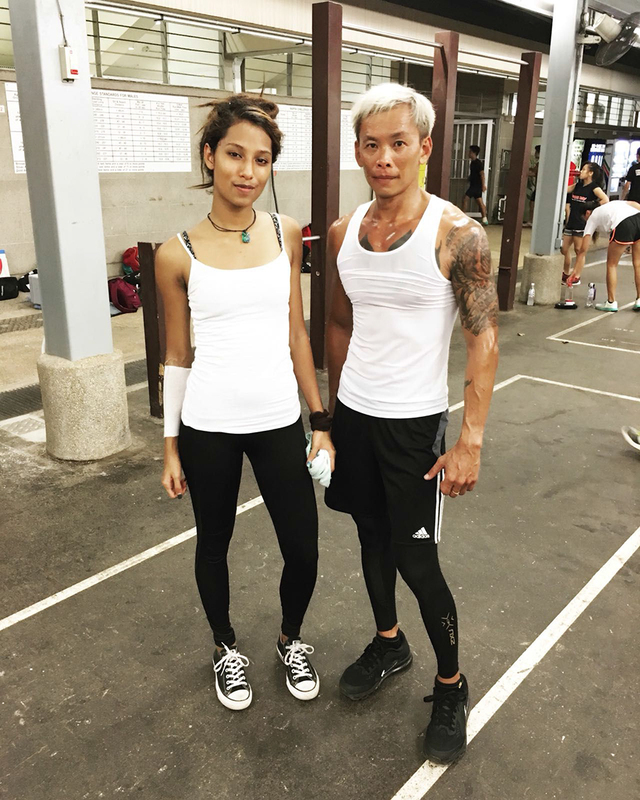 He may not be the best wakeboarder in SIngapore but he is the biggest. He started off with a very small skinny frame, which he built over the years to be strong. He remains as one of the few (maybe the only!) competitive wakeboarders in Singapore without injury. Frankie understands the physical aptitude that is needed to be a good wakeboarder. So he takes his involvement out of the boat and coaches his students on land too. He has a wealth of knowledge which he shares with those willing to learn. He has taught the varsities for many years and trained some of Singapore’s top wakeboarders. And he’s damn good at it.